Like any other busy family living in Toronto, my wife and I were finding it tough to prepare nutritious, home-cooked meals every week that we won’t find boring and repetitive. Add to that our toddler who’s seems to start eating as much as we do! So we were looking and asking around for options. We tried buying food from small Filipino restaurants/catering service for a few weeks, but realized soon enough that they serve the same meals every week, which tend to be fatty, salty, or both (don’t get me wrong, they were yummy!). Then a friend gladly referred my wife to a farm-to-table service by Good Food, Canada and what they do is they send fresh ingredients every week based on recipes that you choose to make delicious, five-star meals at home. To be honest, we were hesitant at first because the recipes were unfamiliar to us, and we weren’t sure if the servings will be good enough, especially for the very affordable cost per week. I thought high-quality, fresh ingredients that are used to make premium recipes would cost more! I was really impressed when I opened our first box and saw how they carefully packaged each ingredient, labelled them, and portioned each one to the EXACT amount we would need for cooking! This made it a ton easier to prepare and cook each meal, and we were able to save time for other things we have to do through the day. Preparing the ingredients this way reduces food waste as well, because we get to use ALL of the prepared ingredients for each recipe. What I like personally is how each recipe shows the approximate calorie content of each serving! So if you are overwhelmed about counting calories in each meal, this is definitely right for you! The estimated time to prepare and cook each recipe is also indicated in the professionally printed recipe cards so you can plan other things-to-do around your cook time. Each recipe is curated by their team of chefs, and the well-balanced, healthy ingredients are portioned out for easy cooking. These raw and fresh ingredients can last for over a week if refrigerated after unboxing. I was worried that no one would be home to receive our first box, but I was happy to see that the package had insulated liners and biodegradable ice packs to make sure that the ingredients stay fresh in the box for 24 to 48 hours. Each and every food container were recyclable, so literally nothing goes to waste! Cooking with Good Food ingredients was a different, fun experience. Trying out new recipes is definitely exciting for me, and knowing that I can cook with these five-star ingredients in 20 to 40 minutes make me feel like a Master Chef in the kitchen! What a way to impress the family! In terms of getting fit and healthy, I know that nutrition is the TOUGHEST part. Whether you want to lose weight, gain muscle, or just improve your everyday performance, what you eat plays a big role in how and when you reach your goals! Getting a farm-to-table premium service from Good Food may be the answer to make your calorie management easier, doable and consistent. Their ingredients fresh from the farm are nutritious and well-balanced so that you can enjoy a healthy, home-cooked meal without worrying about counting calories. You don’t need to be an experienced Cook to put together and prepare these sumptuous recipes, but cooking their five-star ingredients and recipes will make you feel like an Expert Chef! Each subscription is good for one week and you can select how many meals and servings you want each week. You can “skip” weeks if you have other food plans or if you’re going away, so your budget remains flexible and manageable as well. There are vegetarian options, too, and I like how they all have balanced protein, carbs and fats. I can’t keep telling you how tasty the food was, but what I can do is give you a $40.00 off on your first order and try it out for yourself! The cut-off for each subscription is Wednesday, and each box arrives on a Monday. If you are someone who wants to eat exciting, easy to prepare, and yummy meals made from fresh ingredients that are well-balanced and nutritious so that you can save time for more important stuff and not worry about counting calories, then take this offer to get $40.00 off on your first box by clicking HERE. If you’re training for a Triathlon, Marathon, or any endurance event for that matter, what should you eat to fuel your training? Your diet can make or break your goals. The Low Carbohydrate Diet For Triathletes by Ben Greenfield shows the committed Triathlete which are the best low-carbohydrate food to eat. Remember that what you eat while you train is just as important as how you’re training. Training for a triathlon will push your body to the max, so you have to make sure that your body gets enough energy to sustain your training until race day while maintaining your target weight. In a nutshell, pun intended, as you begin to increase carbohydrate consumption above the levels that you need for survival or periods of intense physical activity, you lose your ability to rely on fat burning mechanisms, and you experience the damaging effects of chronically elevated blood sugars, including neuropathy (nerve damage), nephropathy (kidney damage), retinnopathy (eye damage), increased cardiovascular disease risk, potential for cancer progression (tumor cells feed on sugar) and bacterial or fungal infection. low carbohydrate diet the right way. Here are 10 ways to eat a low carbohydrate diet while avoiding common mistakes. If you’re fat, you’re going to have more fat to burn. Look down at your waistline. Do you have layers of fat that you can grab? A beer belly? Muffin-tops? All of that is fat that can be mobilized if you are on a low carbohydrate diet. But if your body fat is under 7-8% as a male, or in the low teens as a female, then it is highly likely that you’re going to struggle with a consistently low carbohydrate intake – specifically during exercise sessions. Get this through your head – whether a food is low carbohydrate or not, if it is something you see advertised on TV, magazines, or newspapers you probably shouldn’t eat it. If it’s something you can easily recognize and identify where it grew and how it go to your plate, it probably is OK to eat. This is another biggie. Long term carbohydrate deprivation leads to a complete depletion of your body’s storage glycogen levels, depression of your immune system, decrease in metabolic function, and a host of other issues that you may be able to put up with if you’re content to lie around on the couch, but that you’re guaranteed to get completely destroyed by if you’re planning on regular physical activity or competition like Crossfit, triathlon or marathon. Fortunately, there’s an easy fix, and this is a big part of my new book “Low Carbohydrate Guide For Triathletes”: simply inject strategic carbohydrate re-feeding days into your exercise routine, either the day before your biggest workout day of the week or the day of your biggest workout of your week. On this day, you double or triple your normal carbohydrate intake, and eat at or slightly above your total calorie needs. 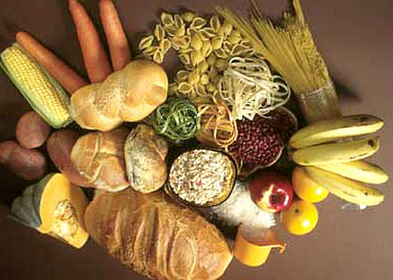 When you begin a low carbohydrate diet, you’re guaranteed to experience intense carbohydrate cravings. There are supplements that can help curb cravings, including chromium and vanadium (such as in Thermofactor), gymnema sylvestre (but you gotta take about 4000+ mg per day of it, which means you’d really want a physician’s brand version), L-tryptophan or amino acids (if the issue is a serotonin deficiency) and even foods like those I demonstrate in my video: 5 Ways To Suppress Your Appetite Without Taking Pills or Capsules. For exercise sessions, I actually recently tried out wasp larvae extract (VESPA), which is supposedly able to increase your ability to utilize free fatty acids as a fuel during exercise. I took two packets of it, and was able to go about 4 hours on 1 gel. The disadvantage was that I was never able to go “above threshold”, or into my carbohydrate burning heart rate zone, so I’m not convinced I’d use it in a race, but it could certainly come in handy if you’re trying to get by on a low carbohydrate diet and also do long exercise sessions. If the discomfort does not subside, then I recommend you A) identify nutritional deficiencies and get tested for fatty acids and also for amino acids, and also make sure you’re incorporating carbohydrate re-feed days if you’re an physically active person. Not only will adequate water help to reduce the carbohydrate cravings you may experience early in the diet, but A) water is also essential for beta-oxidation, which is how your body burns fat as a fuel and B) you’re going to lose a significant amount of storage water as your body sheds carbohydrate stores, so you’ll need more as a dietary source. I personally drink and recommend ample amounts of soda water, unsweetened Kombucha, water with effervescent electrolytes dissolved in it, water with deltaE and just plain water. What I don’t drink is anything with added artificial sweeteners or sugars. So check your nutrition labels if you’re drinking fluid from packages or bottles, but stay hydrated when you’re on a diet like this. This may seem a bit preachy, but I feel compelled to point out the fact that there are a multitude of successful vegan or vegeterian endurance athletes, including ultra-runner Scott Jureky, pro triathlete and ultra-runner Brendan Brazier, pro triathlete Hilary Biscay, US Master’s Running Champion Tim Van Orden, and top ultraman finisher Rich Roll. Since most vegan and vegetarian diets are definitely not low carbohydrate, this demonstrates that you can succeed without eating a low carbohydrate diet. However, the low carbohydrate or ketogenic approach can be especially successful for fat loss, for learning to burn fats more efficiently and even for reducing risk of, or managing, chronic diseases such as diabetes or cancer. 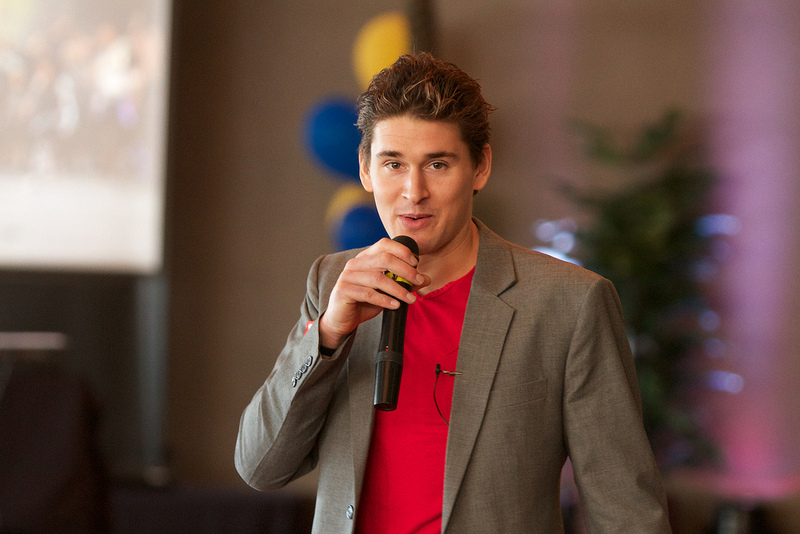 I recommend Ben Greenfield, author of Author of the popular “Beyond Training” book. He is currently the founder and owner of Human Wellness Solutions, a company that develops innovative and cutting-edge fitness and nutrition services and solutions to help people reach their physical and mental performance goals, whether that be to cross the finish line of an Ironman triathlon, or simply shed a few pounds. Ben also owns the Rock Star Triathlete Academy, the internet’s top school for learning the sport of triathlon and how to be a better triathlete, the Superhuman Coach Network, a mastermind and mentorship program for personal trainers and health experts, and Endurance Planet, the world’s leading resource for endurance sports entertainment and podcasts. He was voted in 2008 as the Personal Trainer of the Year, by the National Strength and Conditioning Association, an internationally recognized and respected certifying agency.